Hamar Laser Instruments: Setting new industry standards, time and again. Martin Hamar (working with a PerkinElmer team) invented the first laser alignment system nearly 50 years ago, and then struck out on his own to launch a company that would perfect that system. Hamar Laser Instruments, Inc. was born – a company that remains on the cutting edge of laser alignment technology, solving alignment problems from very simple shaft alignment applications to complex multi-axis alignments applications integrated into automated control systems. Martin is a Cornell-educated engineer with 25 U.S. and foreign patents to his name. But he’s also an astute businessman who successfully communicated to his first customers that the quality of their parts relies on the precision of their tools. He proved his point with the laser technology he pioneered, and the rest is history. "It was difficult in the beginning to sell the customer on the fact that he or she actually had a problem and that laser alignment was the solution," he says, "but there are always a few who are willing to take a chance." Martin’s very first laser alignment system, used for roll-grinding machines for the paper industry, was far ahead of its time. Yet he never stopped innovating, and his company has maintained a heavy emphasis on research and development to keep on top of the laser alignment industry. 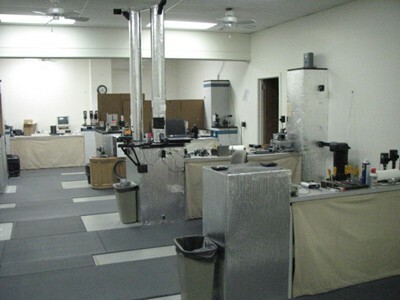 At Hamar Laser, precision is measured in microns, and customer loyalty is measured in decades. The company is constantly engineering improvements into its lasers. In fact, our quality standards are so demanding, it’s not unusual for a Hamar laser to provide ten times the accuracy required by an application and for our systems to last 10, 15 or even 20 years. Hamar Laser Instruments is a small company with a large presence. It serves diverse industries worldwide, including aerospace, automotive, power generation, plastics, ship building, food processing, pulp and paper and steel manufacturing. Hamar Lasers has been global for 20 years, supplying manufacturers on all 5 continents who demand state-of-the-art, precision lasers that are not only accurate but fast and easy to use. Today, the company sets the international standard for a variety of laser systems, starting with its automatically rotating laser plane. Since it was introduced in 1974, Hamar Laser has made dramatic improvements in the laser plane’s accuracy, performance and ease of use. In 1992, with the introduction of the Triple Scan® Laser, the company set yet another standard of excellence, and again revolutionized the alignment industry by offering the world’s only 3-plane laser that can accurately check a machine tool in one setup! No competitor has even come close. Whether you choose our top-of-the-line rotating laser, the L-743 Ultra-Precision Triple Scan® Laser, or our Stealth™ Series S-660, Wireless 3-Axis, entry-level shaft alignment system, you will receive a product that has 45 years of laser alignment experience in its design. Add to that our commitment to wireless communication across our product line and you have power alignment tools that can’t be matched. Our products have become so critical to our customers’ maintenance programs that we often hear them say “you need a Hamar for that”! Hamar Laser Instruments headquarters is located in Danbury, CT and contains one of the world's largest facilities for comparative testing of laser geometry in 3-dimensional space. We invite you to drop by if you’re in the area, give us a call or better yet, send us a challenging application! The better you get to know us, the more precisely you’ll understand why our lasers are the industry standard.